Michael Fish was born on March 16, 1947, in Portland, Oregon. 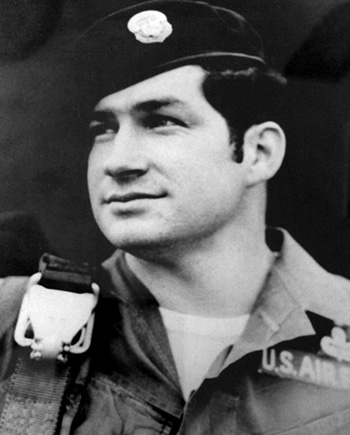 He enlisted in the U.S. Air Force on March 4, 1966, and was trained as a Pararescueman. After completing Airborne Training, Scuba School, Mountain Climbing School, Rescue & Survival Medical Training, and the Pararescue Technician Course, Fish was assigned to the 41st Aerospace Rescue and Recovery Squadron (ARRS) at Hamilton AFB, California, where he served from March 1967 to January 1969. He served with the 38th ARRS at Tuy Hoa AB in the Republic of Vietnam from Jaunary 1969 to January 1970, and then returned to the 41st ARRS at Hamilton AFB in February 1970. Sgt Fish's final assignment was with the 71st ARRS at Elmendorf AFB, Alaska, where he served until leaving active duty on May 19, 1976. The President of the United States takes pleasure in presenting the Air Force Cross to Michael E. Fish, Sergeant, U.S. Air Force, for extraordinary heroism in military operations against an opposing armed force as an HH-43B helicopter Pararescue Specialist of Detachment 11, 38th Aerospace Rescue and Recovery Squadron, Tuy Hoa Air Base, Vietnam, SEVENTH Air Force, during a rescue operation 25 miles southwest of Tuy Hoa Air Base, Republic of Vietnam, on 18 and 19 February 1969. 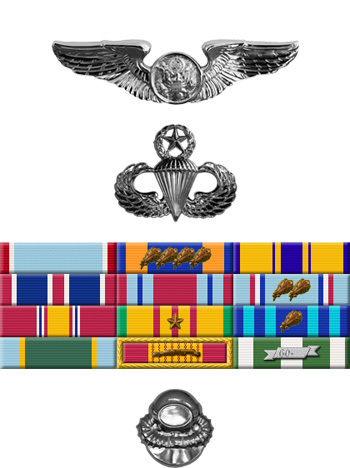 During this period, with complete disregard for his personal safety, he was voluntarily lowered through intense hostile ground fire to treat and rescue four seriously injured Army UH-1 helicopter crew members, whose helicopter had been downed by hostile fire in a remote, mountainous, densely jungled canyon. He elected to remain on the ground overnight, fully realizing that he faced attacks by the hostile forces which completely surrounded him, and for more than fifteen hours, he treated and cared for the pilot, who was trapped inside the wreckage, until he could be freed. Through his extraordinary heroism, superb airmanship, and aggressiveness in the face of the enemy, Sergeant Fish reflected the highest credit upon himself and the United States Air Force.